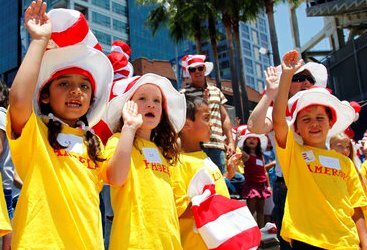 Today, March 1, 2013, is the National Education Association’s Read Across America Day which kicks off Read Across America Week where people are encouraged to read to children and children are encouraged to read for themselves. And tomorrow is the birthday of Dr Seuss, who is known for writing children’s books. Coincidentally, from sunset tonight March 1 to sunset March 2 has also been declared National Day of Unplugging, when we are urged to unplug ourselves from all our gadgets and technology such as smartphones, laptops, and MP3 players. Thus, it’s a perfect time to read to and with your kids. Reading events, both public and private, are being held nationwide, from schools and public libraries to houses of worship and homes as adults and children unplug and read. The U.S. Department of Health and Human Services Centers for Disease Control and Prevention (CDC) Native Diabetes Wellness Program (Wellness Program), in collaboration with the Indian Health Service (IHS) Division of Diabetes Treatment and Prevention and the Tribal Leaders Diabetes Committee (TLDC), created the perfect series of children’s books to help encourage kids to read and live a healthy lifestyle. Called the Eagle Book Series. 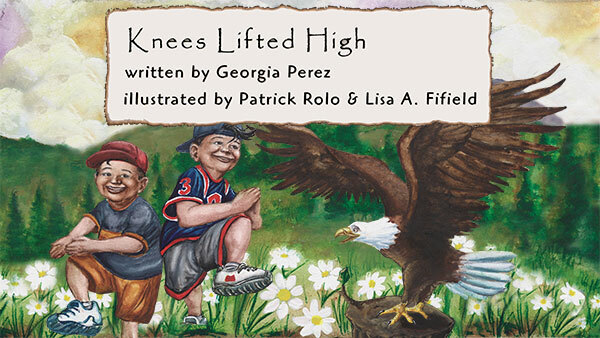 all of the stories reflect long-held traditional values of American Indian / Alaska Native people – respect, gratitude, and generosity – while teaching the universal wisdom of healthy eating and physical activity. 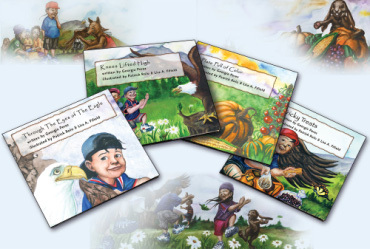 Throughout the series, a young Native boy and his friends learn about healthy habits from Mr. Eagle, Miss Rabbit, and Coyote. Measuring 16 X 19 inches, these books are sized perfectly for reading to a group of first through third grade children at school, daycare, in a library, or at home. 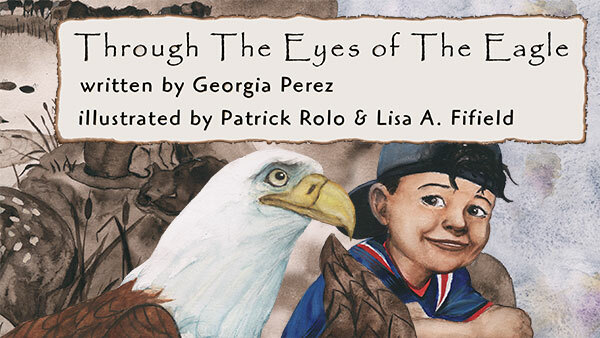 “Through the Eyes of the Eagle” is the first book in the Eagle Book Series and introduces the character of Mr. Eagle. Mr. Eagle befriends Rain That Dances, the primary child character in the book, to educate him about diabetes and how the lifestyles and health of the people have changed. Mr. Eagle has come to remind the children of the healthy ways of their ancestors so that they can be strong and healthy again. 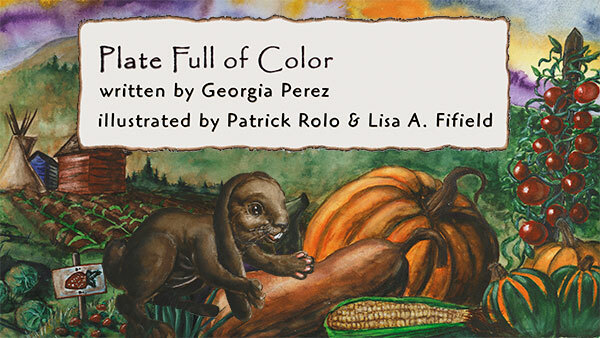 “Plate Full of Color,” the third book in the Eagle Book Series, introduces Miss Rabbit and the boys’ friend, Little Hummingbird. Miss Rabbit s a helper. She wants to teach the young children about ways they can prevent diabetes and help adults learn about preventing and controlling the disease. Rain That Dances, Thunder Cloud and Little Hummingbird listen to Miss Rabbit explain how Mother Earth provides wonderfully healthy things to eat. 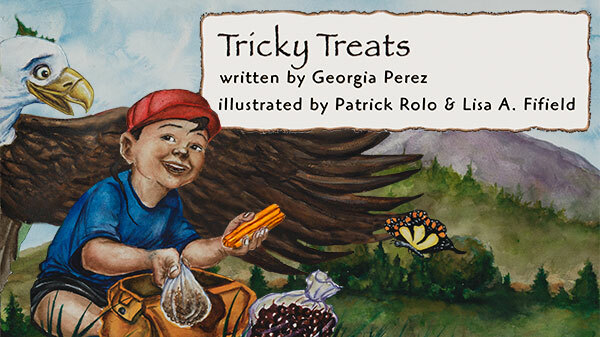 “Tricky Treats,” the fourth book in the Eagle Book Series, continues the theme of healthy food by encouraging children to choose nutritional value in foods and beverages. This story introduces the character of Coyote who initially challenges the healthy messages offered by Mr. Eagle. Tricksters, such as the coyote, are traditional characters in American Indian stories and literature who cannot be trusted because of their jokes and tricks. The trickster often comes around in the end as in this story. In the book, Mr. Eagle encourages the children to choose healthy snacks and not be tricked into using foods and beverages that are not healthy for them. Healthy foods are identified as “everyday foods,” while less optimal choices are described as “sometimes foods.” Mr. Eagle teaches the children about food safety and the importance of not taking things that belong to someone else. How can I buy the Eagle Book Series? Buy them at GPO’s retail bookstore at 710 North Capitol Street NW, Washington, DC 20401, open Monday–Friday, 9 a.m. to 4 p.m., except Federal holidays, (202) 512-0132. Find them in a federal depository library. This entry was posted on Friday, March 1st, 2013 at 5:01 pm and is filed under Centers for Disease Control and Prevention (CDC). You can follow any responses to this entry through the RSS 2.0 feed. You can leave a response, or trackback from your own site. This is nice but this will work for the toddlers and grade schoolers. What activity can the teenagers engage in so we could encourage them to unplug too? Fine article as usually. 🙂 Good look! Human Being Here : Conservatism Phrase……. !